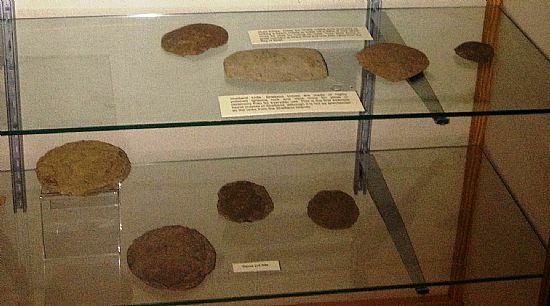 Summer 2015 - Art and Artefacts from Ness of Brodgar dig; due to popular demand this summer exhibition continued through the winter months and is to become a semi-permanent display in the Pilot's House - the below stairs portion of the museum. 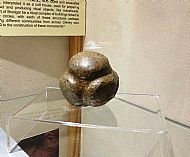 2015 saw the Neolithic coming to Stromness Museum, as we hosted some of the finds from the enigmatic and impresive Ness of Brodgar ongoing archaeological dig. In 2002, the ridge on the Brodgar peninsula was surveyed and found to be saturated with archaeology. Ploughing in 2003 unearthed a large slab of stone thought to be part of a 4,000 year old grave, and excavation found some beautiful stone walling. 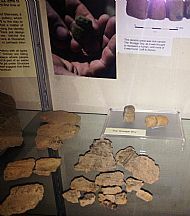 2004 saw the Archaeology Department of Orkney College taking on the responsibility for the site, and what started as a few small test trenches has turned into the largest - and longest - archaeological dig Orkney has ever seen. 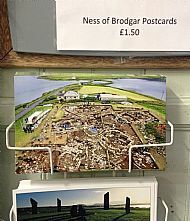 Throughout the year you will find the Ness of Brodgar postcards. Life in Neolithic Orkney would have been a colourful existence. Buildings, pots and perhaps even bodies would have been painted with bright pigments and the natural colours of rocks were used to full decorative effect. 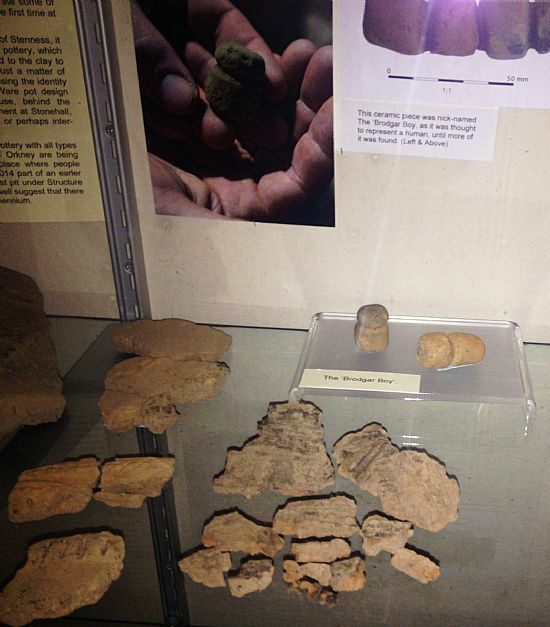 At Skara Brae small pots containing a red pigment called ochre were found (we have examples in our upstairs gallery). Their discovery was interpreted as evidence that Neolithic people painted themselves. At the Ness of Brodgar it seems that ochre was ground down and used as a paint for stones in the walls of buildings. In Structure 8 several stones appear to have been painted with chevron patters in red, yellow and black. 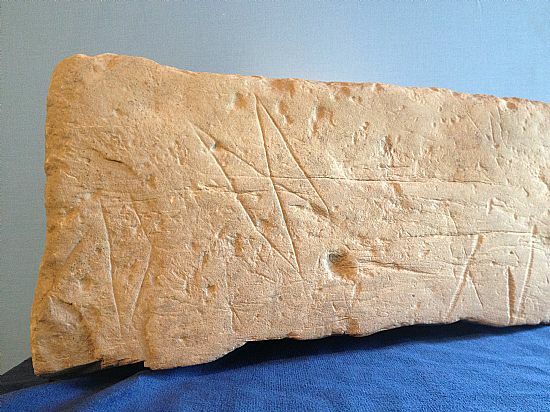 These important discoveries might be the first evidence for Neolithic painting in Britain and they are currently undergoing scientific analysis. Large numbers of stone spatulas, possibly used for applying paint, were also found and lumps of ochre have been found across the site. In Structure 10 part of the building was dedicated to the production of these pigments, a sort of Neolithic 'paint shop'. Elsewhere at the Ness the builders specially selected red and yellow sandstones and pick-dressed them to enhance their natural colour. In Structure 10, red sandstone was used in the dresser opposite the doorway and yellow and brown sandstones were used in many of the buildings to decorate the ends of the piers. In Neolithic Orkney, colour mattered! 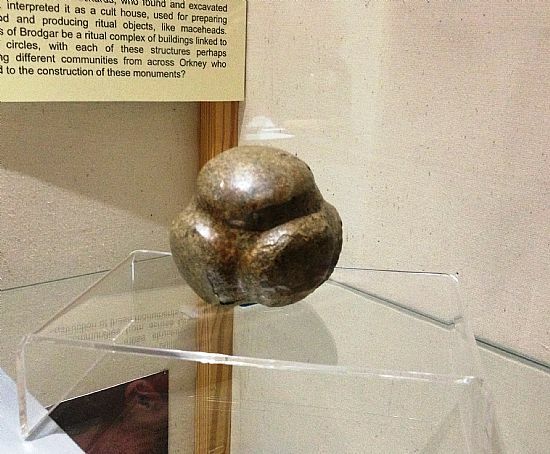 Visit www.orkneyjar.com for the archived daily dig blog done during the excavation season. 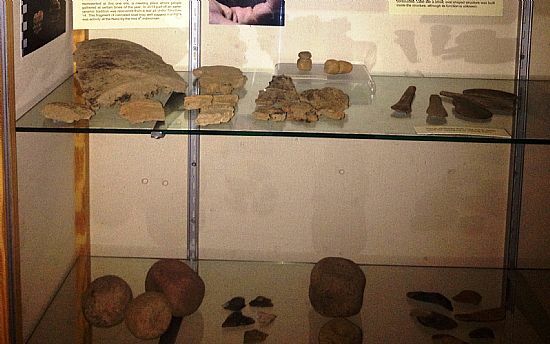 During the dig season it is updated daily. 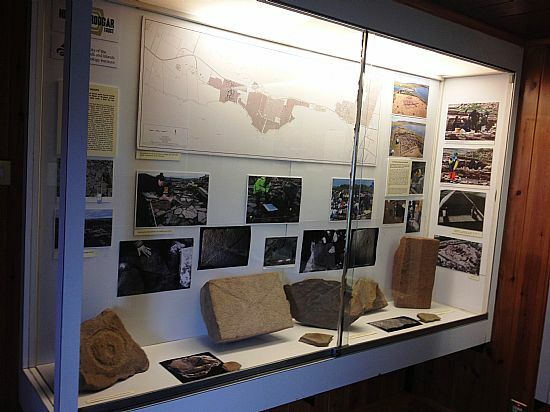 Find more information on the Ness via their website www.nessofbrodgar.co.uk.